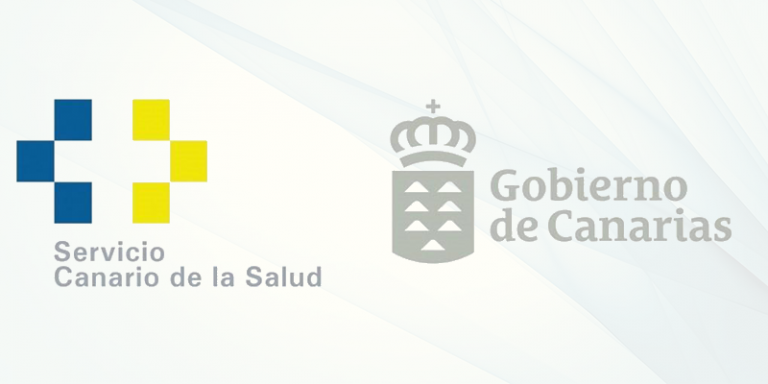 The Daily planning is based on Production Orders received from a SAP system which are imported in the planning system and will generate the activities that should be done. These Activities are shown in the bottom bar waiting for theirs assignation. Depending on the type of order the requested activity is connected with the corresponding Actions and, these Activities will then be assigned to the operators working at the plant. 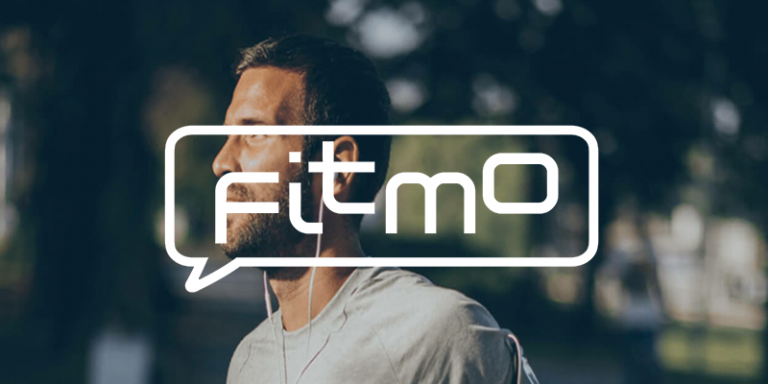 Activities can be planned easily by drag and drop them on the Daily Planning at the time on which the activity should be started for the employee who will perform it or by clicking on each one. 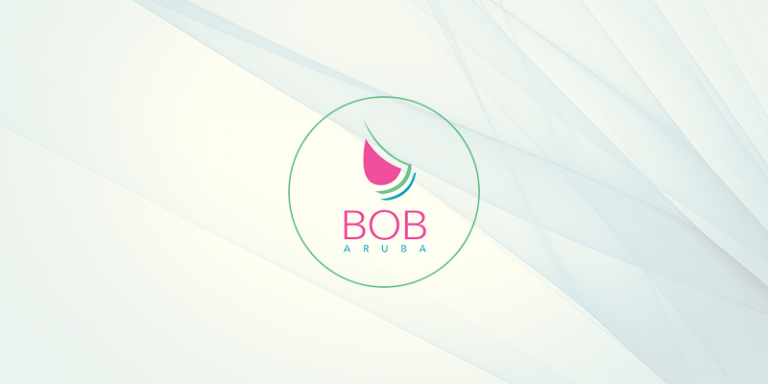 The shifts configuration management allows to define the company’s shifts on which the employees will be working. 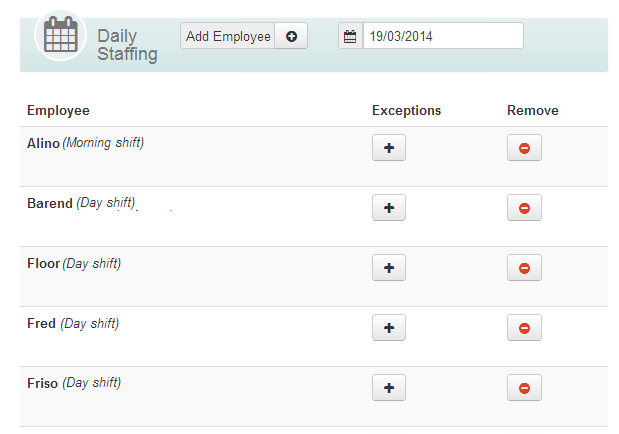 Once the shift are already defined the Daily Staffing can be configured by assigning one or more shifts. Additionally, daily exceptions to these shifts can be defined for each employee. 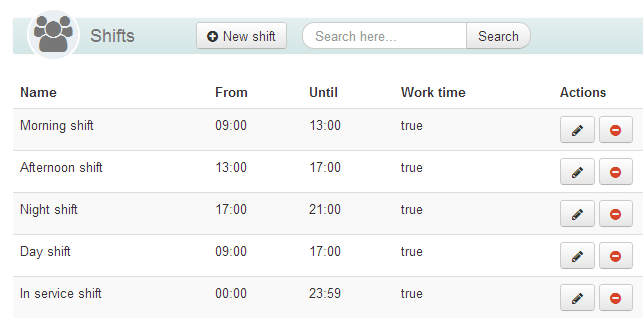 Finally, based on the shifts and based on the staffing the Daily Agenda can be generated. 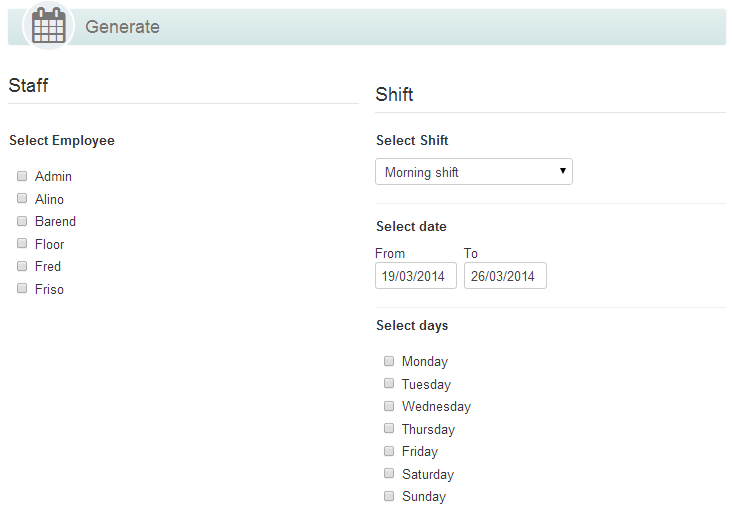 This functionality allows to generate the agenda for one or more employees on a specific date range. Multiples shift can be assigned to each employee based on the parameterization selected for the Daily Agenda generation process.